Productivity, effectiveness and security are essential to your business or organization. 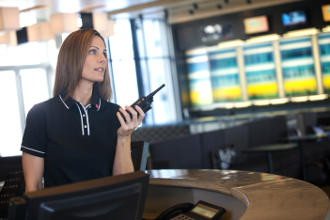 With a diversity of models that suit every business need, the perfect resolution for your communication needs include Motorola's two-way portable radios. Rugged and reliable, Motorola portable radios allow your employees to stay in contact to work toward a common goal, getting the job done! The base station, radio repeater, and console are core to your dispatch operations. 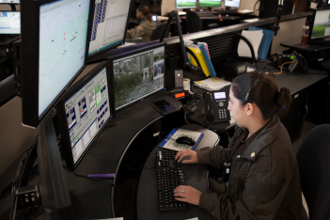 Motorola offers a variety of configurations to meet the needs of dispatch centers from a simple desktop dispatch to a large multi position console configuration. Motorola repeaters are 100% continious duty with a very rugged design. 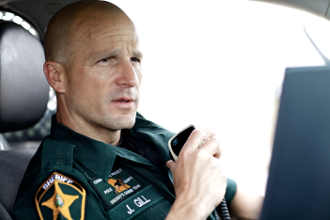 Delivering real-time information in seconds that matter, Motorola's range of portable and mobile two-way radios and pagers provides solutions that make it possible for your customers to increase operations for public safety and also efficiently converse with their constantly moving workforce.